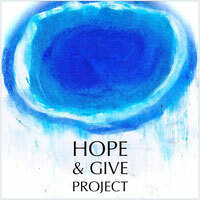 ... more paintings on the move - hopeandgives Webseite! 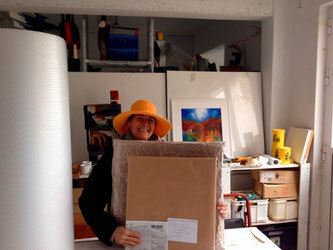 Storm, rain, bitter cold (5 degrees Celsius), but Heidi is on the move to the post office and more paintings will leave our island. Kalo taxidi!